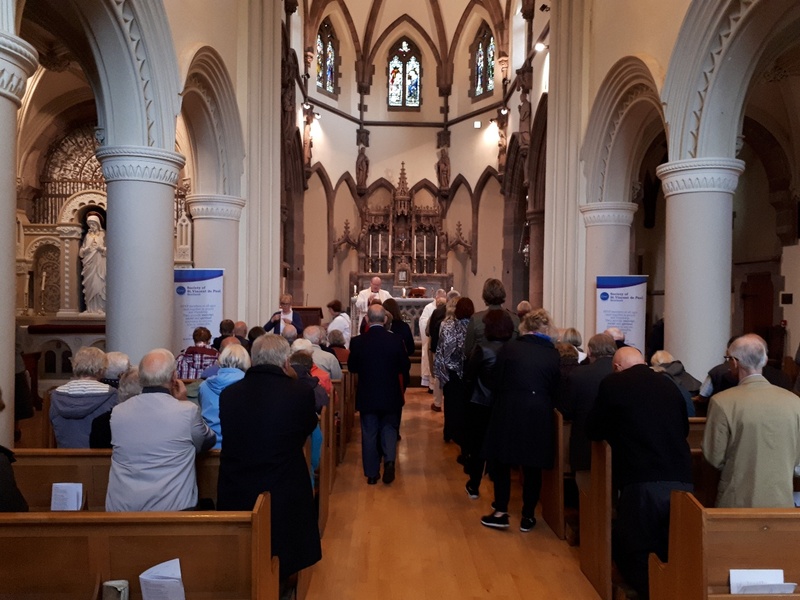 Vincentians gathered for the National Mass in St Margaret’s Chapel at the Gillis Centre in Edinburgh, on Saturday 16th June 2018. 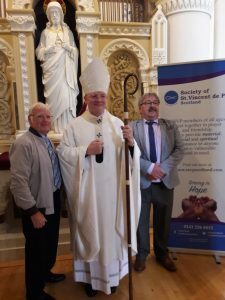 Archbishop Leo Cushley was the celebrant for the special day dedicated to the ‘Consecration of the Sacred Heart’, he was joined by Fr Kevin Dow. The Archbishop commented on “the great work you do for us all” and ” the response should come from a pure and simple heart”. Words of encouragement to help vincentians go forward in their work with the society. Members, their family and friends were able to join in the buffet lunch after mass.